Another day of sightseeing, there's so much to see and take in here. I awoke to heavy rain, totally different compared to the first day which was 24 degC, humid & sticky with some cloud. Well you can't have everything, but that wasn't going to dampen my spirits. 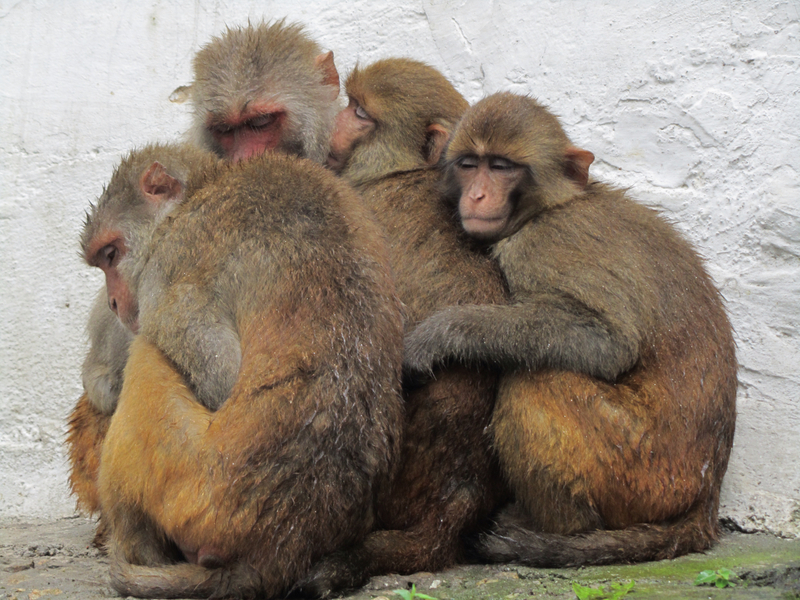 First off we headed to Swayambhunath, it is also known as the "Monkey Temple" as it is home to a couple hundred cheeky, rhesus macaques. This is one of the MUST see sights in Kathmandu. It's a Buddhist stupa perched high on a hill to the west of the city. The approach to the temple is up a flight of 356 steps (one for everyday of the year), some people make the trip everyday. Even though the weather wasn't great it was still possible to make out how vast and densely populated the city is. 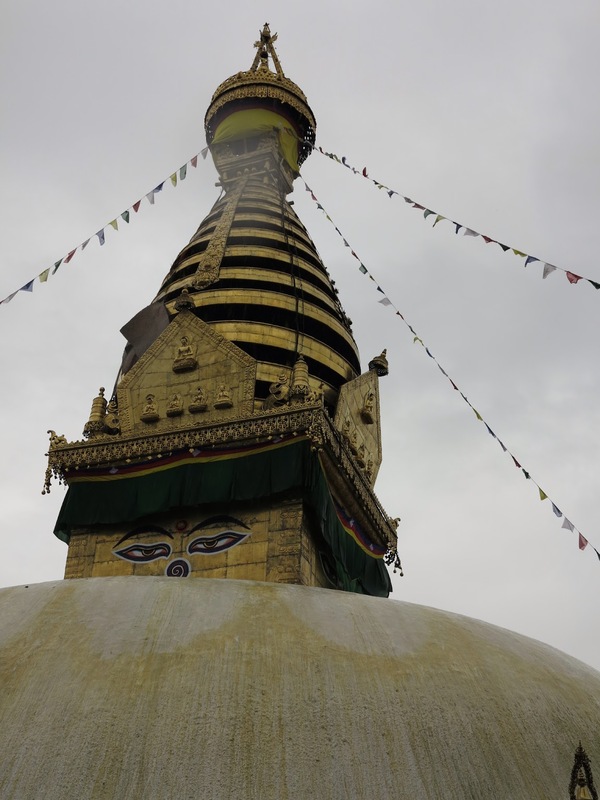 At the top is a magnificent stupa similar to the Boudhanath stupa I saw on the first day, but not as big. However, it seemed more impressive because of its location. 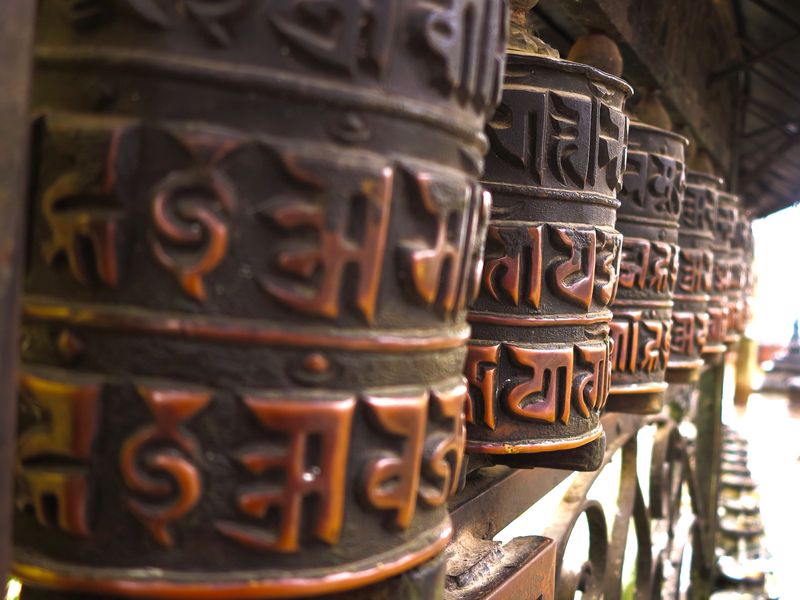 Again there are prayer wheels, prayer flags and statues denoting the 5 elements (earth, air, water, fire & ether/space). However, this stupa had monkeys crawling over it and around it. I wasn't expecting to be so close to the cheeky blighters. This is a fascinating place and one which I hope to return to when I'm back from the treks. Just down the hill from the Monkey Temple we made a brief visited the Buddha Park, this is relatively new addition and is not frequented by tourists much it contains 3 enormous gold statues. 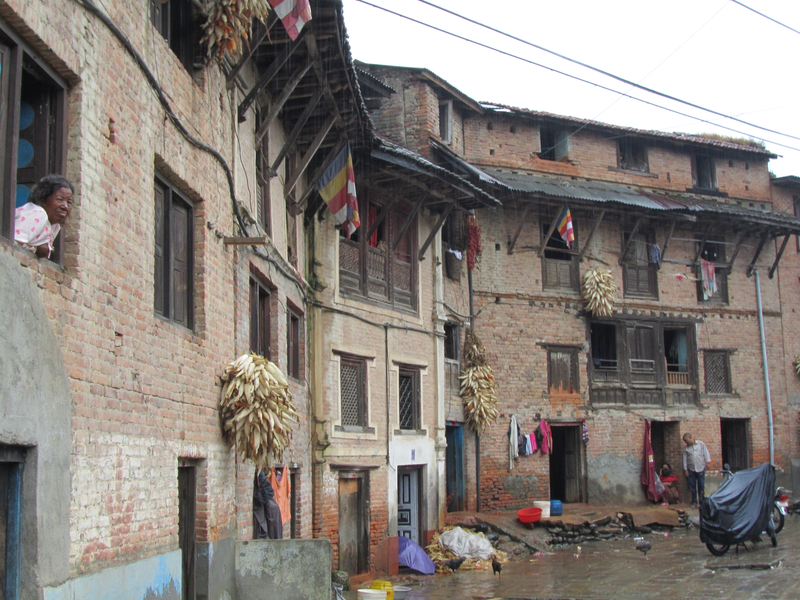 We then headed out of Kathmandu to a old Newari village 10km south of the city called Bungamati, so I could see what real Nepali life is like. This village is set amongst paddy fields, again it seems that not many western people come here as I was constantly stared at as if I was an alien (no funny comments from anyone!). Chandika said that only 5 or 6 western groups visit this village each year. 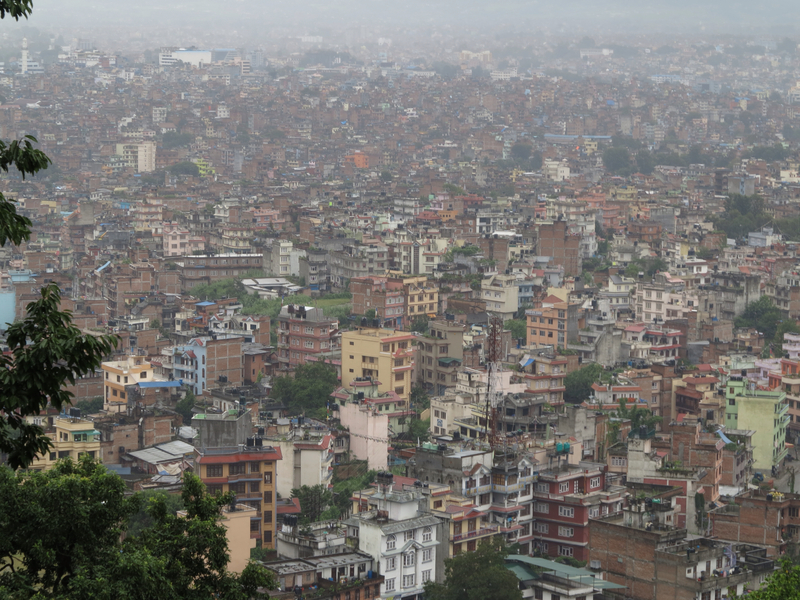 For the first time since arriving in Nepal the roads were quiet, no car horns, or heavy pollution. This was great and nice to be out of the city for a while. The people here don't have very much and seem quite poor, compared to the inhabitants of Kathmandu (and they are poor compared to western standards), they make a living by making and selling intricate wood carvings. The village itself has a main square, in which has a temple dedicated to "Rato Machhendranath", the god of rain and he was out in full force. Off the main square is a warren of small "roads" lined with houses, the ground floors of which contain the wood carving workshops. Leaving Bungamati, we wandered our way downhill to the next village of Khokana, we stopped at a tiny restaurant, if you can call it that, to shelter from the rain for a while and for some hot, sweet, milky tea to warm us up. I was lucky to meet some local ladies who were interested in me (where I was from, how long was I in Nepal, etc). It was great to have this insight into real Nepali life outside of Kathmandu and feel quite privileged to have gone there and met some Newari people. They don't have much, but they all had smiles on their faces, despite the pouring rain. 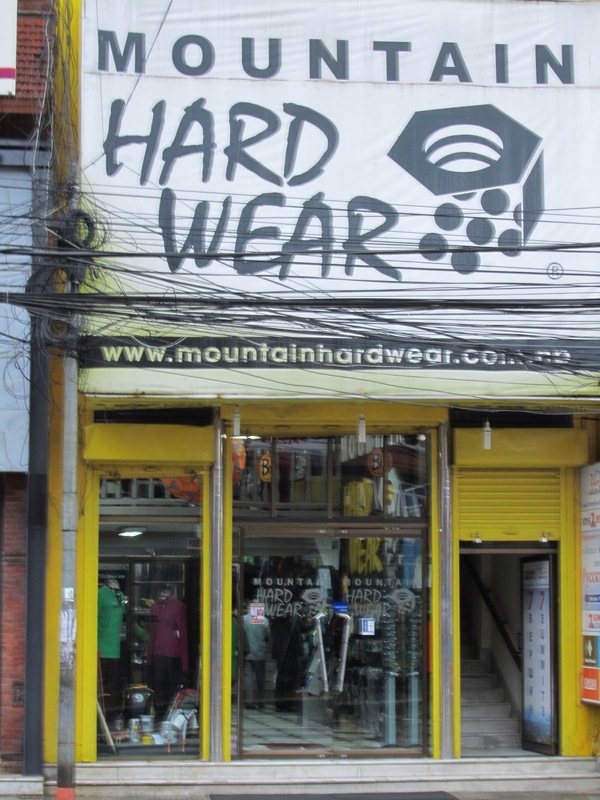 It was back off to the city, to dry off and freshen up, then into Thamel to grab some supplies from my treks, then for some dinner. I found myself in the Rum Doodle bar, named after the spoof mountaineering book by W.E. Bowman about the worlds tallest mountain the 40000 and a half foot, Mt Rum Doodle! (worth a read if you ever go on a mountaineering expedition, it's quite entertaining). The walls are plastered in yeti footprints which people have signed, drawn pictures or written stories on. I had steak and chips, but I'm not sure it was from a cow as these are sacred animals, I suspect this was yak, still it tasted nice, washed down with an Everest beer. That's all for now, another couple of days in KTM them I'm off into the wild. Ps I seem to come down with a bit of a cold, probably down to the rain, which I hope will clear up before I start trekking, other than that all is well.